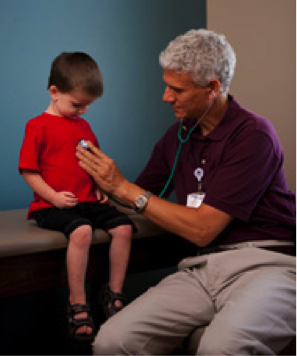 Our Pediatric Neurologists provide comprehensive neurologic care to children of all ages (newborns to age 18). They diagnosis and treat acute and complex conditions affecting the brain, spinal cord, peripheral nerves or muscles and emphasize family-centered care with a strong focus on follow-up care. Pediatric Neurology Clinic EEG services are onsite at the Indianapolis office. 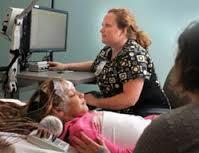 Our Pediatric Neurologists also read and interpret EEG recordings from other medical providers throughout Indiana. Neurologic Prenatal Consults for hereditary concerns (such are spina bifida) are coordinated through the family’s Maternal Fetal Medicine physician. On call services are provided at Peyton Manning Children’s Hospital and the Hilbert Pediatric ER, St. Vincent Women’s Hospital and NICU, and the St. Vincent Carmel Hospital and NICU. EEG (electroencephalogram) is a test that records electrical activity in the brain. The test does not hurt or involve needles. A Sleep-deprived EEG records both awake and sleep patterns. Source: St.Vincent, PMCH, Pediatric Neurology.